High school senior Tyler Miller used to be the kind of guy who faded into the background–average student, average looks, average dysfunctional family. But since he got busted for doing graffiti on the school, and spent the summer doing outdoor work to pay for it, he stands out like you wouldn’t believe. His new physique attracts the attention of queen bee Bethany Milbury, who just so happens to be his father’s boss’s daughter, the sister of his biggest enemy–and Tyler’s secret crush. And that sets off a string of events and changes that have Tyler questioning his place in the school, in his family, and in the world. 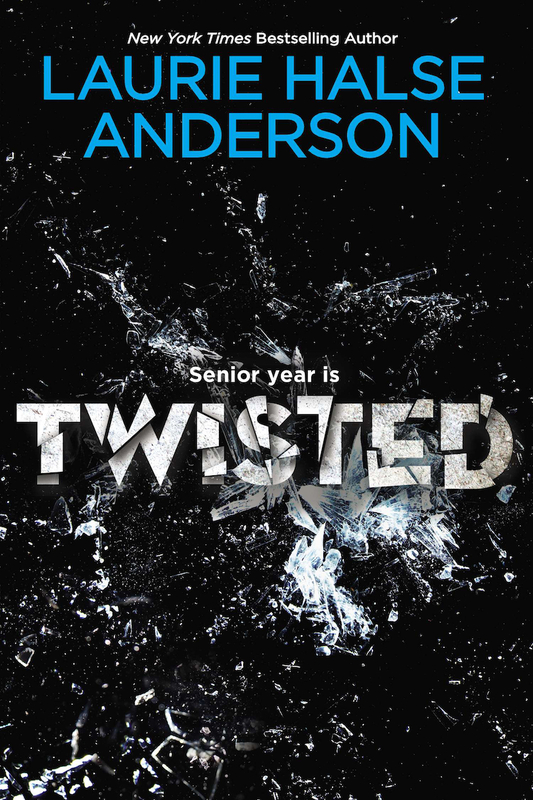 In Twisted, the acclaimed Laurie Halse Anderson tackles a very controversial subject: what it means to be a man today. Fans and new readers alike will be captured by Tyler’s pitchperfect, funny voice, the surprising narrative arc, and the thoughtful moral dilemmas that are at the heart of all of the author’s award-winning, widely read work.